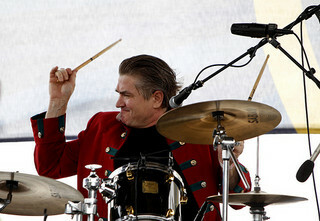 Steve Wild is a founding member of the Class of '68 and the "business behind the band." His passion with Classic Rock began in garages and basements in Chicago. As the 60's drew to a close, Steve traded his guitar for a tennis racket and eventually developed a career in professional tennis / athletic club management and is the CEO of Club-Net Inc. In 2002 after, a 32-year hiatus, he picked up his bass again and hasn't stopped since! 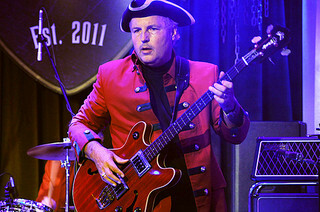 Woody Johnson, who along with Steve formed the band in 2002, is the "heart and soul" of the Class of '68. If Steve is the "business behind the band," Woody is the "music behind the band." His "soulful" vocals and synth guitar are indispensible to the band's unique sound. 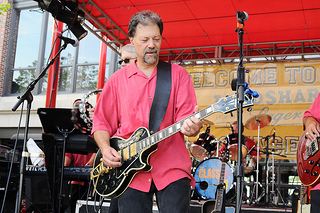 Woody has been a fixture on the Chicago music scene since his high school days and has shared the stage with such notables as Lonny Brooks and Sammy Fender. 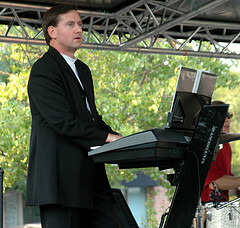 Brian Secord grew up with music, playing piano and trombone at Michigan State while earning a degree in electrical engineering. Like Steve, he continued his studies at the Kellogg Business School, giving the Class of '68 probably the highest concentration of Kellogg MBA's of any band around! He is a Lincolnshire resident and plays trombone regularly in the Christ Church Lake Forest Band. Dave honed his chops during stints with several bands in the indie-rock hotbed that was Champaign Illinois of the late seventies. Rock, rhythm & blues, roadhouse or hard-core country, it didn't matter. 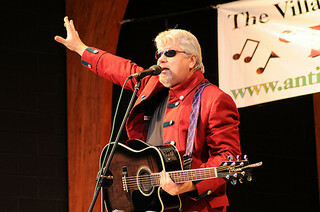 Dave has worked in recording studios from Winston-Salem NC to Hollywood CA. He has played along side performers as diverse as Iggy Pop and Dwight Yoakum, and has shared the concert stage with R.E.M, the Wallflowers and Morris Day. Dave also has a Masters of Fine Arts from Northwestern University, bringing the Class of '68's total Northwestern graduate degrees to three, making them more than just pretty faces! By the time Deerfield resident Dave Steffen reached the sixth grade, he was drafted into a band of sophomores, because he was the only one who could play the solo in the Outsiders hit "Time Won't Let Me" By the time he graduated from New Trier East, he was totally immersed in music, and has since played in just about every kind of band imaginable, folk bands, funk bands, rock bands, blues bands, country bands, R&B bands and bluegrass, and has shared the stage with such greats as Isaac Hayes, Randy Travis and Martina McBride. When Jim Bartholomew saw the Beatles on the Ed Sullivan Show, it ignited a life long passion for music. Having performed as a feature vocalist with popular Chicago groups, Jim also played country rock at colleges, clubs, state fairs, and innumerable honky tonks, appearing in concert with Fleetwood Mac, The Kingston Trio, Richey Furay, Loretta Lynn, Tom T. Hall and Marty Robbins. 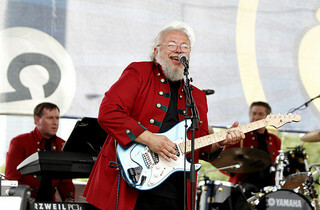 Later Jim joined forces with Chicago blues legend Jim Schwall to form Cahoots, a roots rock band combining country and blues, playing to packed houses with performers like Bobby Bare, Mickey Gilley, Lacy J. Dalton and others.